Holiday Inn’s Hotel Of Cards: New Trend In The Hospitality Industry? Hotels are hotels in a lot of cases, and it takes a grand gesture in order to make one stand out from the other in order to attract clientele looking for a unique experience. 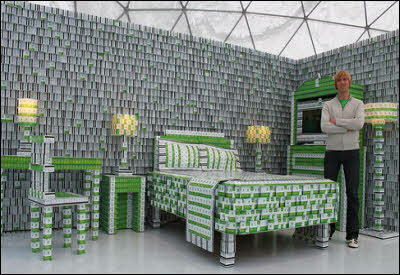 Last month, one of the biggest brands perhaps set a new trend in creating a house of cards. 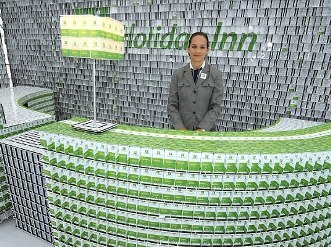 Not like the Holiday Inn brand really needs to capture a specific niche by offering a unique experience when they already cater to those looking for budget accommodation options, but that didn't stop them from having record holding card stacker, Bryan Berg from making a hotel of cards last month. The hotel was open for 5 days (until September 21st) and included a complete guest bedroom and bathroom, as well as a fully-equipped lobby built from 200,000 hotel key cards. This project was completed to mark Holiday Inn's relaunch of 1,200 hotels worldwide, but will it also represent a new trend in the hospitality industry? Tackle Land & Sea With The RC Morphibians!